Since its launch in 2017, 150 Media Stream has become a novel addition to the cultural landscape of Chicago. Divided into 89 LED blades that stretch over 150 feet long and reach 22 feet in height, the installation is the largest structure of its kind in the city dedicated to showcasing commissioned work by emerging and renowned new media artists. 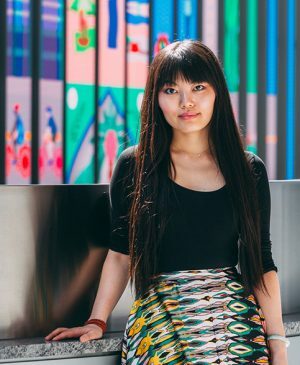 In this talk, artist and curator Yuge Zhou will give an overview of 150 Media Stream and its programming model of commissioning a variety of changing artwork for a uniquely configured, permanent display. 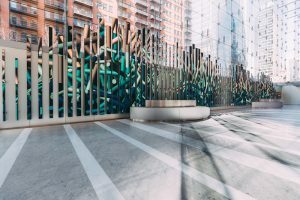 She will also discuss the possibilities and challenges that this installation offers as a new direction in public art, as well as share information about opportunities for artists to exhibit their work.